You’ll be a cool cat when you stay at our groovy mid mod inspired pad. 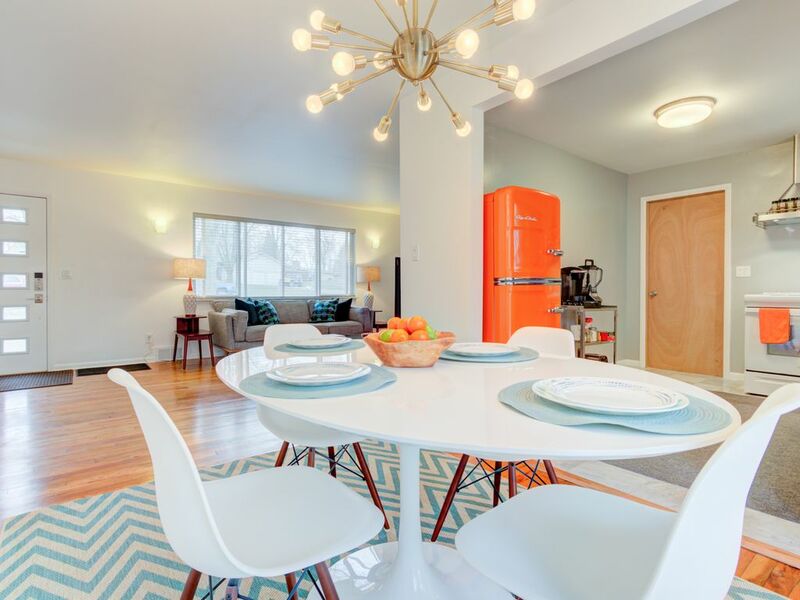 Use the gas grill on the deck or cook a meal in our well-equipped kitchen featuring a far out retro fridge. (Our beautifully mid mod inspired home is right next to the Wright Patterson Air Force Base, Wright State University, and the Soin Medical Center.) The house is complete with a fully equipped kitchen, complimentary coffee and creamers, basic toiletries, 3 bedrooms and large deck on the backside of the house.